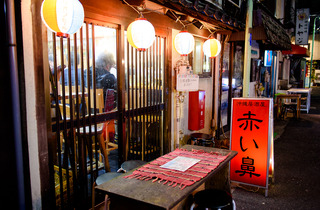 All sorts of watering holes are clustered around Yanagi-koji, an alleyway just off Nishi-Ogikubo Station's south exit. Akai Hana, a venture focused on Okinawan and Taiwanese cuisine, is one of the best of the bunch. 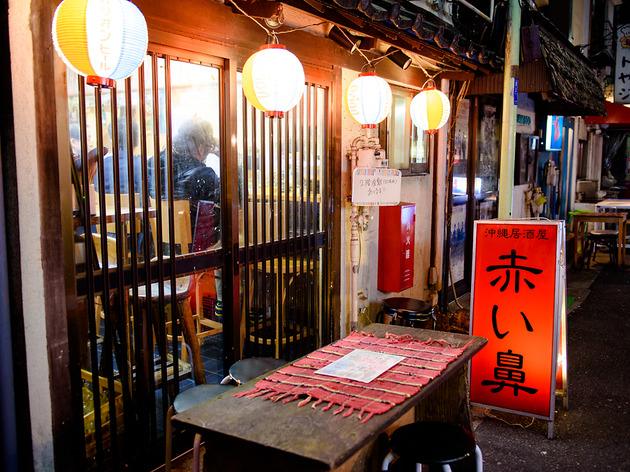 A self-respecting izakaya, it stocks more than enough boozy substances to choose from, including classic beers and sours, awamori, herb liquors and sweet plum wine, all with a definite touch of Okinawa. 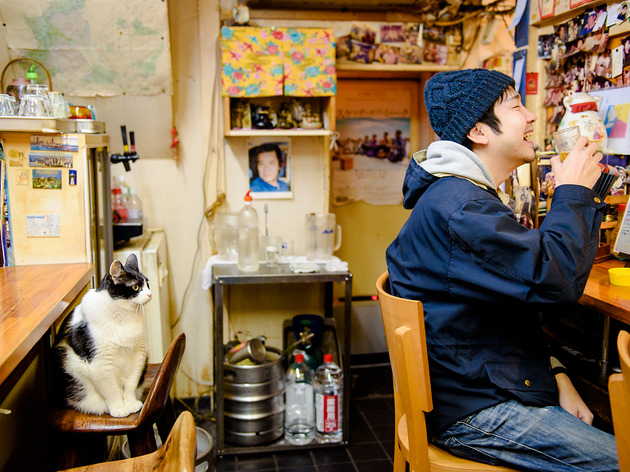 To add to the night-time entertainment, they've also had Miu the cat running around for about ten years, making her a veritable staff member. Miu doesn't really seek the limelight, but also never runs away – no matter how much petting is done – and eagerly swishes her somewhat too short tail. 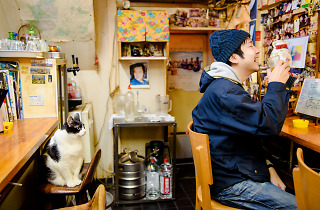 Like a true local, Akai Hana boasts a group of regulars who are still quite welcoming to first-timers.